With a classic Parlour style body the TW3 is perfect for guitarists looking for a traditional acoustic instrument with modern enhancements. The top, back and sides of this guitar are all crafted from Mahogany for a rich, warm guitar tone that's perfect for both fingerpicking and strumming. The TW3 also features a Mahogany neck and Rosewood fingerboard & bridge for a familiar feel. 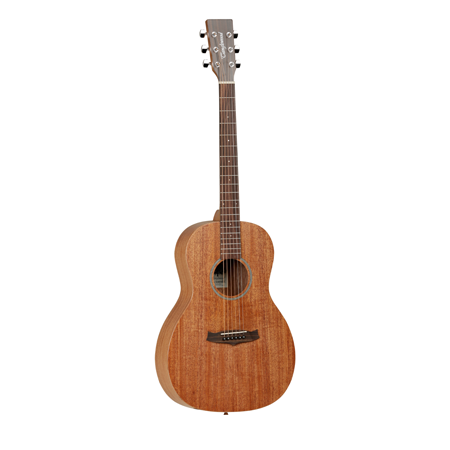 With exqusite craftsmanship, outstanding playbility and a beloved Parlour body style, the TW3 is an excellent choice for the traditional acoustic guitarist.